Select this economical seat for temporary use on an Standard Toilet Bowl while recovering from an injury or surgery. The 4" elevation helps guard against bath room falls by making it easier and safer to sit and stand. The seat fits to the toilet with a bracket that slips under the existing seat hinge. For added comfort, the seat is contoured and slightly wider than most donut style seats. 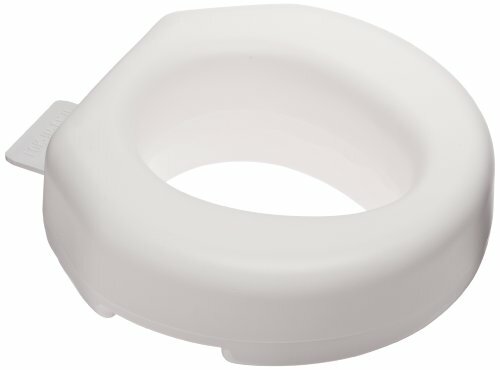 This donut style seat rests directly on the toilet rim and has an inner lip to help prevent it from moving. The one piece design cleans easily with non abrasive bath cleaners. This is a hygiene item and is NOT returnable. Oversize or heavier item, price includes $6.00 shipping surcharge.